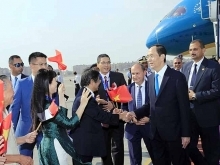 At the invitation of Viet Nam President Tran Dai Quang, French President Francois Hollande began his State visit to Viet Nam from September 5th to7th 2016. A business delegation of 40 leading companies of France Republic also accompanied their President on this occasion. On September 6th at the Head Office of Ministry of Industry and Trade, Deputy Minister Ho Thi Kim Thoa had a meeting with French business delegation which is headed by Mr. Phillippe Varin, Special Representative of French Minister of Foreign Affairs on South East Asia issues. 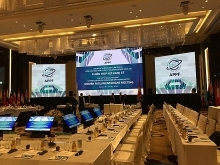 Other delegation members come from leading enterprises in the sectors of energy, infrastructure, agro-alimentary, pharmacy, environment and high technology ect. 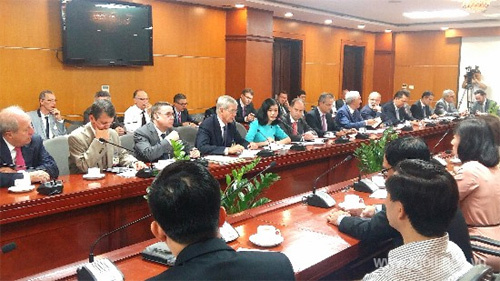 Leaders of relevant departments of MOIT such as International Cooperation, European Market, Heavy Industry, Energy, Electricity Regulatory, Import – Export, Domestic Market also attended the meeting. 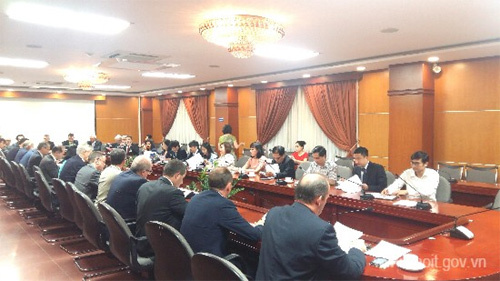 At the meeting, Deputy Minister Ho Thi Kim Thoa warmly welcomed the French business delegation to Viet Nam and to Ministry of Industry and Trade. 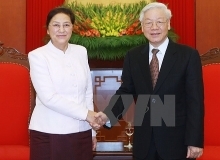 She expressed her appreciation to French enterprises interest in doing business in Viet Nam and believed that after this mission they will find opportunities to extend their business with Vietnamese partners. 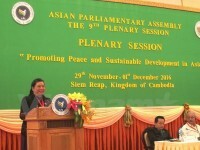 Madame Ho Thi Kim Thoa hoped that this great economic relationship will be build stronger in the future, especially in the context that Viet Nam and France Republic are trying their best to accelerate ratification of the Free trade Agreement between European Union and Viet Nam. French enterprises in the sectors of energy, distribution, industrial environment treatment, high technology, pharmacy and advertisement shared their experiences and success in doing business with Viet Nam and also raised questions to MOIT to tackle with difficulties on policies that they encountered so that they can continue to do and extend sustainably their business in Viet Nam. On behalf of the MOIT, Deputy Minister Ho Thi Kim Thoa answered all these questions related to government policies as well as expressed the readiness of the ministry to concomitant with business in finding measures for development during their business in Viet Nam. * France is Vietnam’s fifth largest trade partner in Europe, behind Germany, the U.K., the Netherlands and Italy, with two-way trade reaching $4.2 billion in 2015, up 19 percent year-on-year. The figure stood at $919 million in the first quarter of this year. Vietnam mainly exports footwear, garments and textiles, household utensils, seafood, machinery and electronic components to France while importing aviation equipment, pharmaceuticals, mechanical and electronic products, chemicals and alcoholic beverages from the country. 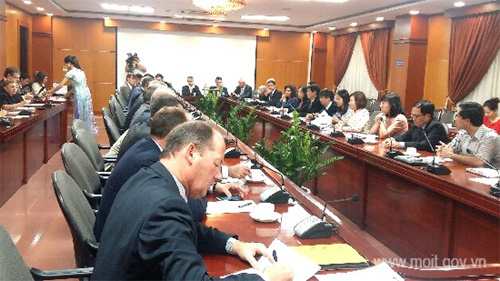 With 461 projects worth over $3.4 billion, France is now the third largest European investor in Vietnam, after the Netherlands and the U.K., and ranks 16th among 114 countries and territories investing in the Southeast Asian nation./.